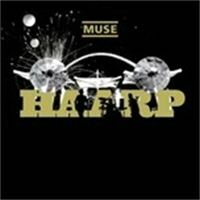 HAARP - CD/DVD - Out March 17th! HAARP - Muse Live at Wembley Stadium 16/17.06.07. Following Muse's 2 nights at the new Wembley Stadium last summer, the band are delighted to announce that they will be releasing a CD / DVD package documenting the weekend. Released on 17 March, it will contain an audio CD from the Saturday night and a DVD with footage from the Sunday night. More information will come soon very soon!